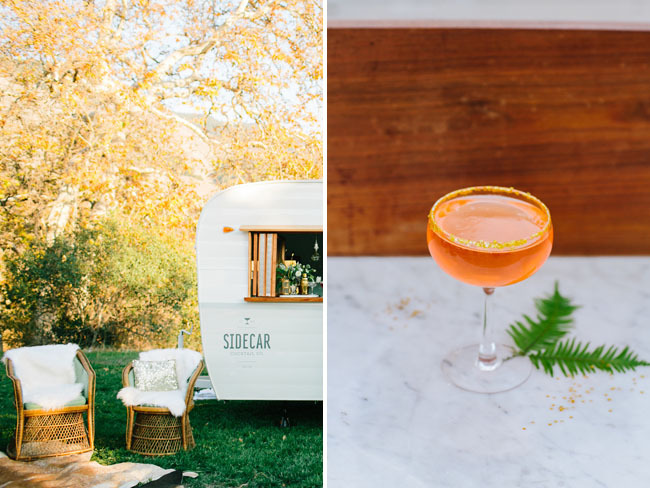 There’s still plenty of time to pull together a New Year’s Eve cocktail party and Tinker Tin and Sidecar Cocktail Co. are about to show us how. 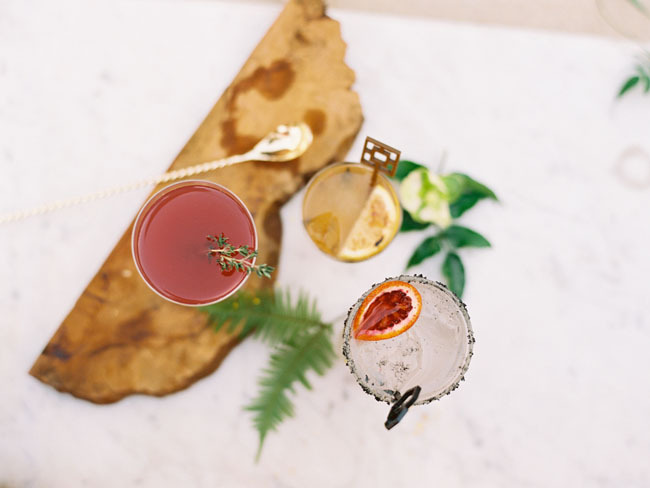 Their aspirational editorial, captured by Mirelle Carmichael, is filled with custom craft cocktails and a sleek, modern ambience. 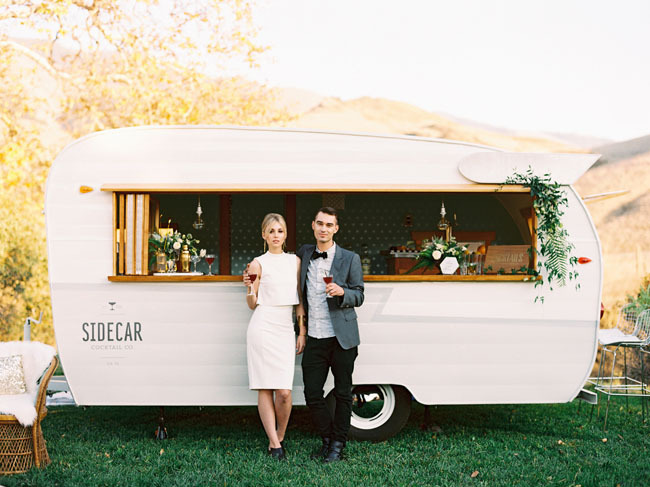 The vendor pair has recently partnered up, taking its craft cocktail program to the road with a newly designed 1961 Shasta Bar trailer. 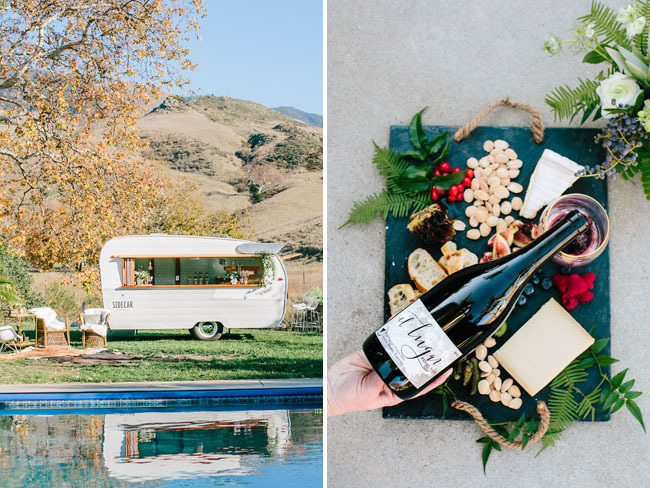 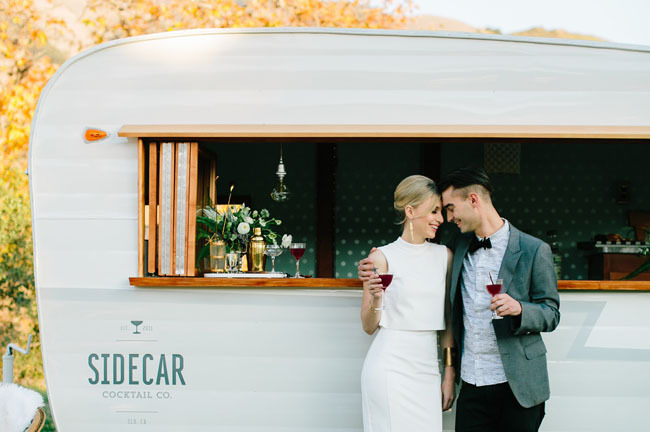 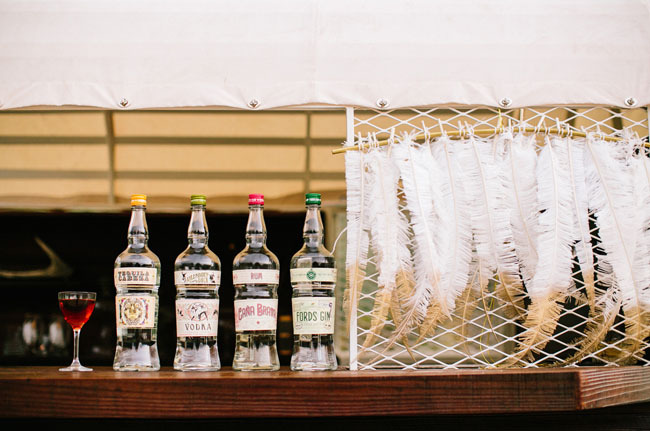 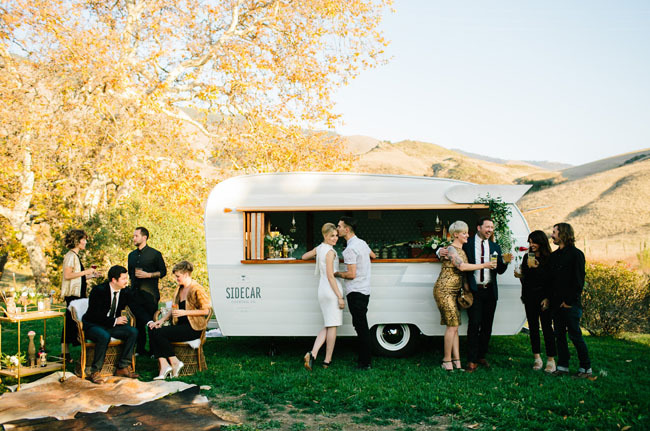 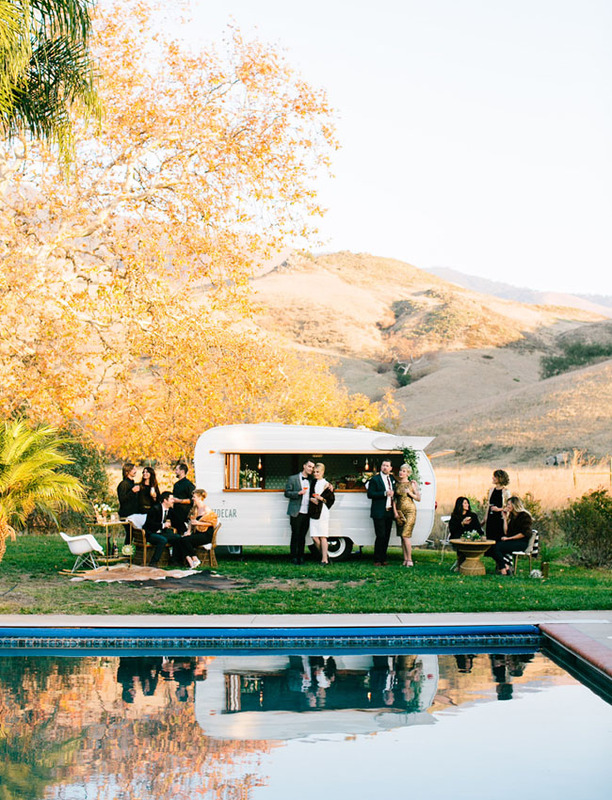 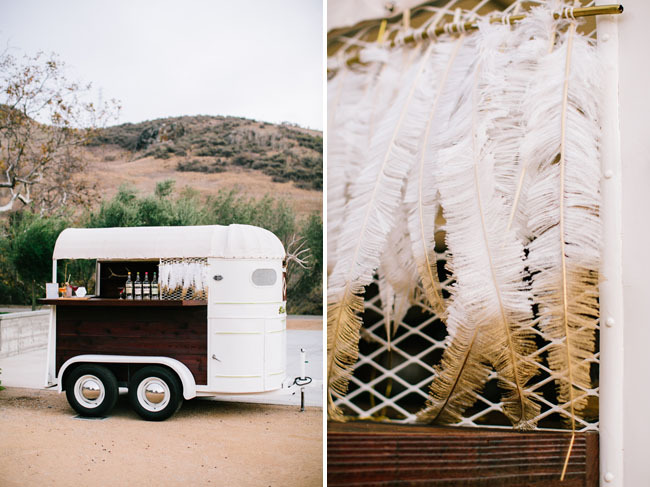 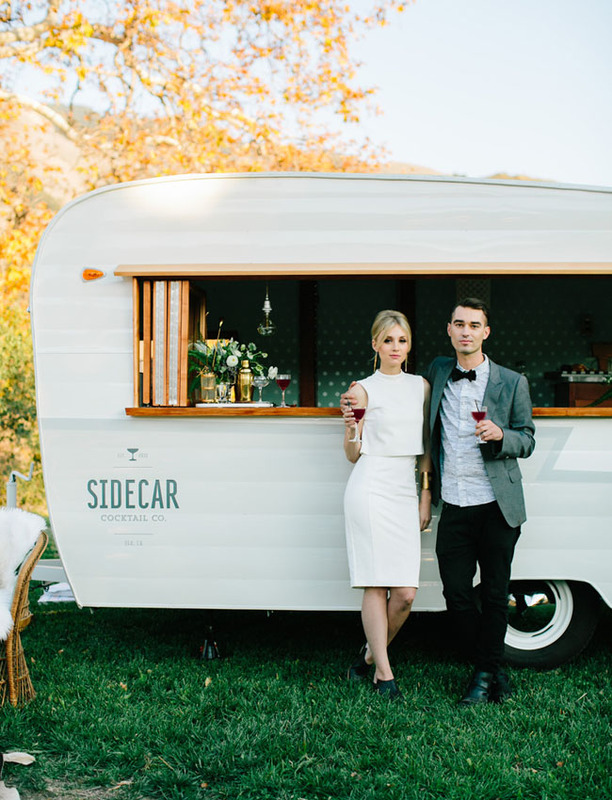 A popular cocktail bar and restaurant on the California’s Central Coast, Sidecar is excited to now offer full service cocktail catering services for weddings and events out of their retro chic trailer! 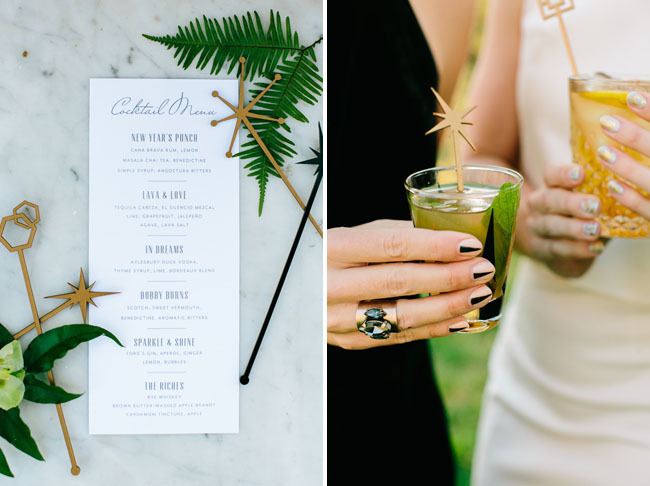 Below, snag some ideas for hosting a Mid-Century inspired NYE cocktail soiree; the perfect way to cheer to the end of 2015 with your closest family + friends. 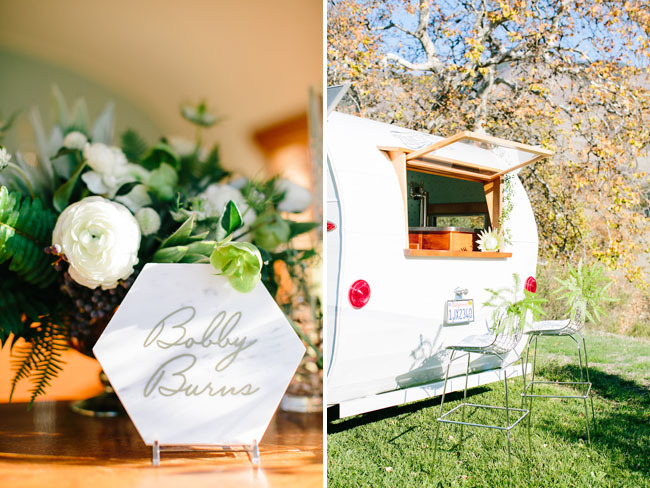 Tinker Tin shares, We were inspired by our new 1961 Shasta bar for this shoot, and wanted to bring in a Mid Century but yet classic style to compliment the trailer. 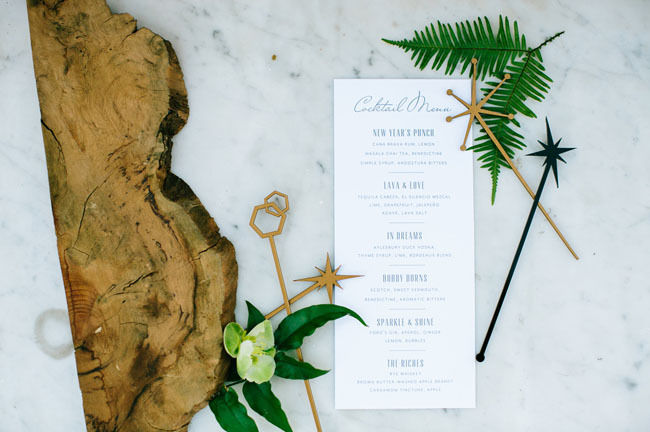 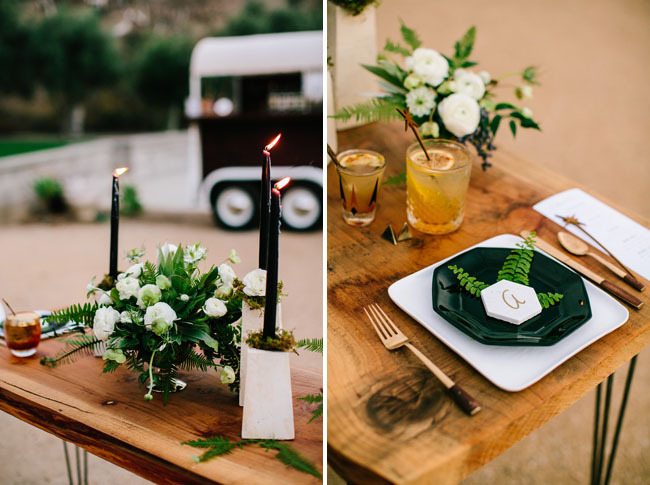 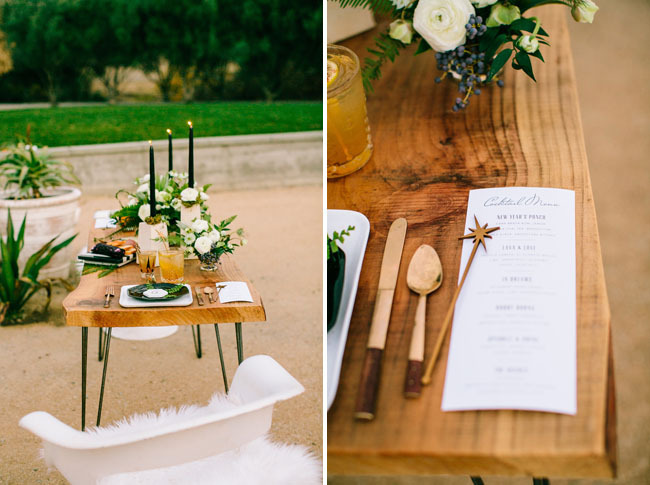 We used lots of wood, and gold, marble, black and white, and little mid century touches (like the stir sticks) to really bring it all together. 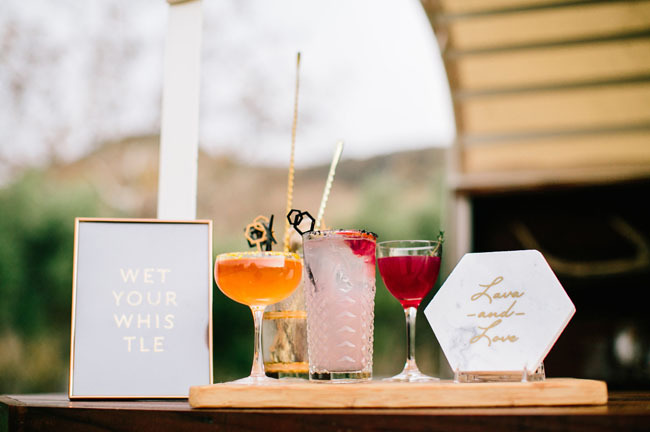 Instead of a New Years big dinner party atmosphere, we wanted to focus on the simplicity of the cocktails and the instant party that craft cocktails naturally inspire! 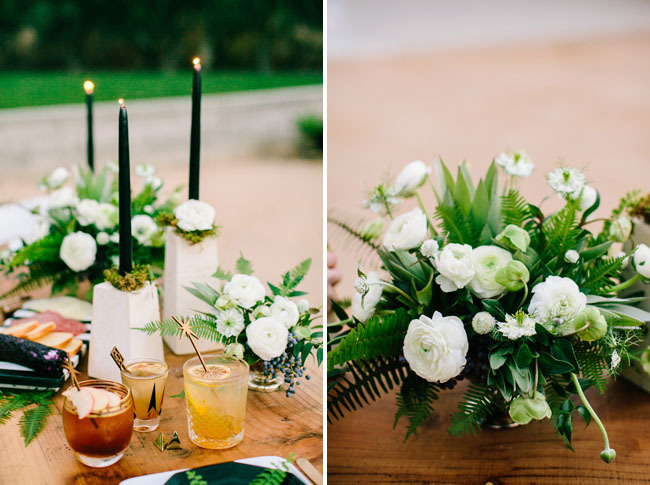 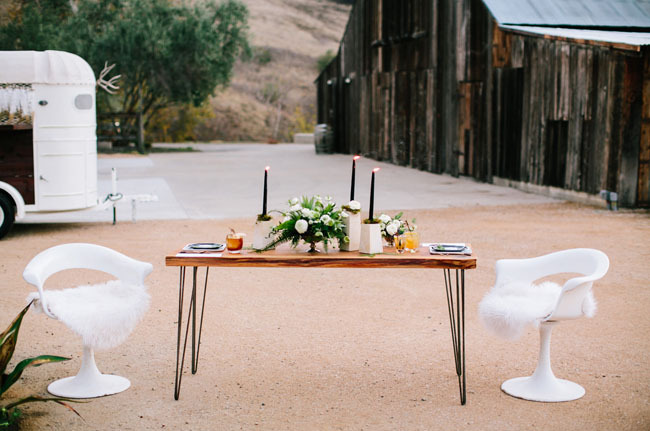 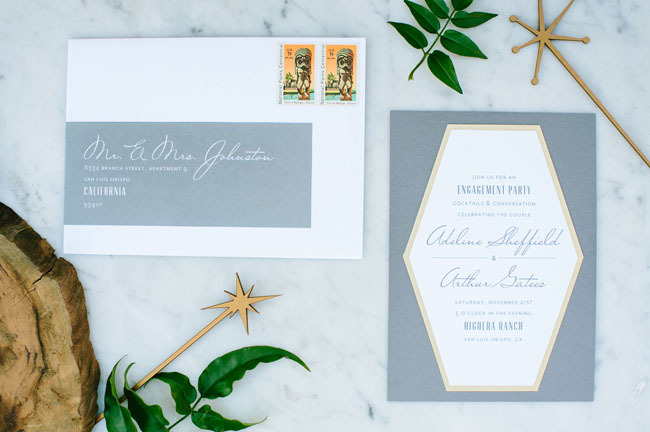 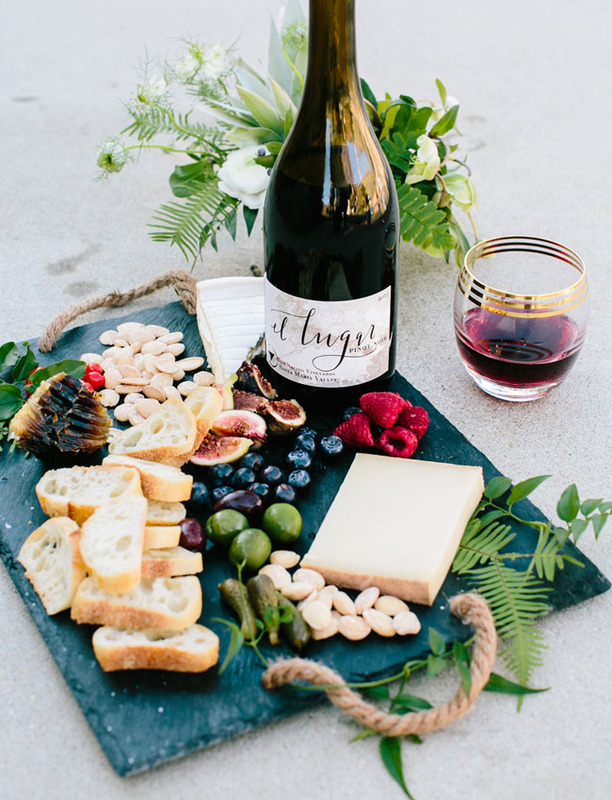 The gorgeous, lush florals were crafted by Noonan’s Wine Country Designs. 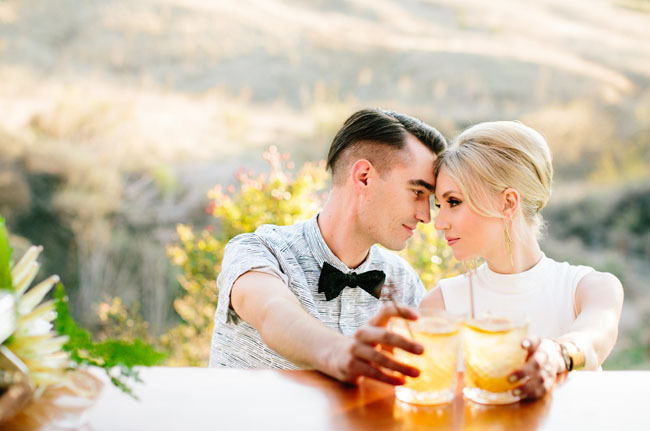 Directions: Combine all ingredients in large punch bowl and stir. 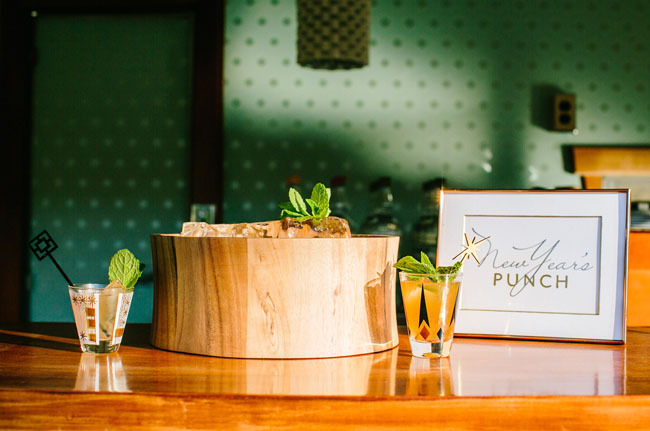 Place 1 large clear ice block in center of the punch bowl (7-10 lbs depending on size of bowl), garnish with mint, lemon and blood orange slices. 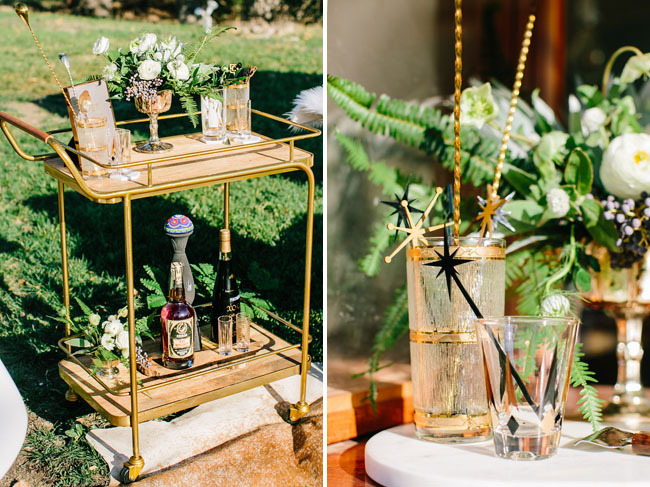 The result is a delightful dangerous flavor combining the richness of the chai spice and bitters with the lightness of lemon and rum…an easy to make cocktail that is sure to impress your guests both in taste and appearance. 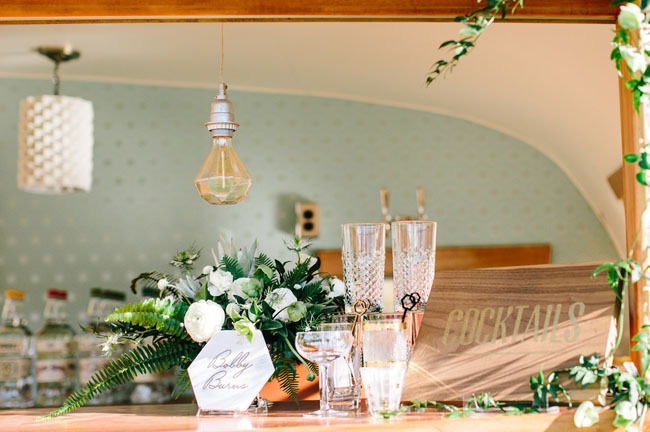 The large ice block looks gorgeous and lasts hours making this a cocktail perfect to serve for large parties and won’t keep you locked in the kitchen all night! 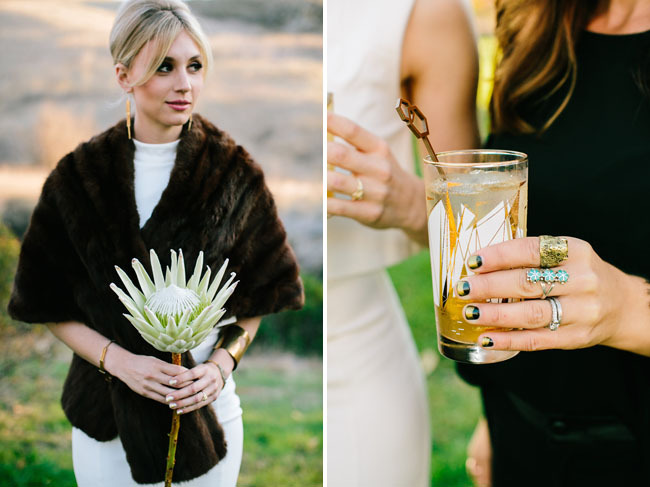 Faux fur is always perfect for a NYE party! 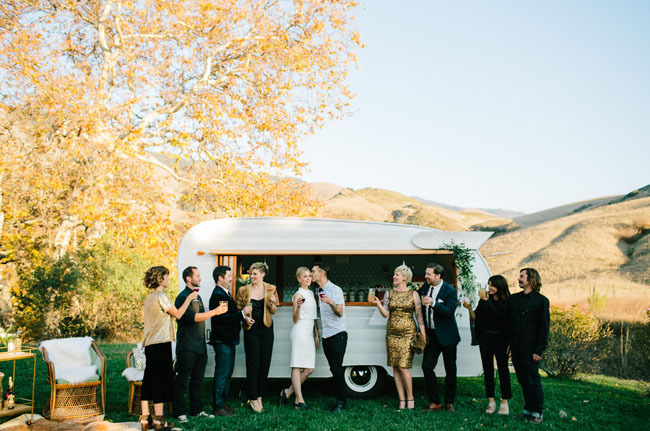 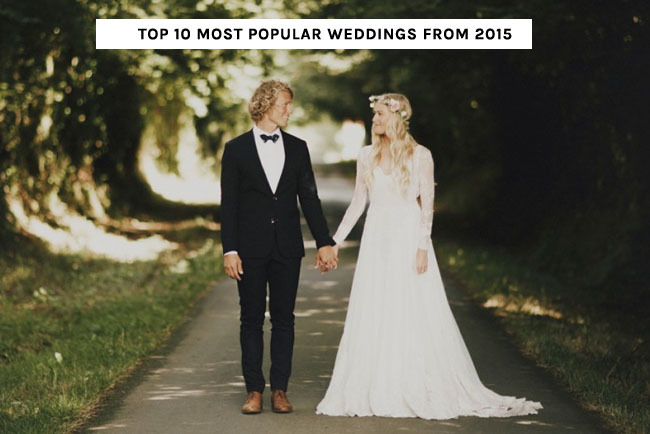 Thanks so much to the amazing team below for inspiring us with this fun NYE party today!